EDF Renewables is a leading international player in renewable energies, with gross installed capacity of 13 GW worldwide. Its development is mainly focused on wind and solar photovoltaic power. EDF Renewables operates mostly in Europe and North America but is continuing to grow by moving into promising emerging regions such as Brazil, China, India, South Africa and the Middle East. The company has strong positions in offshore wind power, but also in other areas of the renewable energies industry such as energy storage. EDF Renewables develops, builds, operates and maintains renewable energies projects, both for itself and for third parties. EDF Renewables is the EDF Group subsidiary specialising in developing solar and wind power. 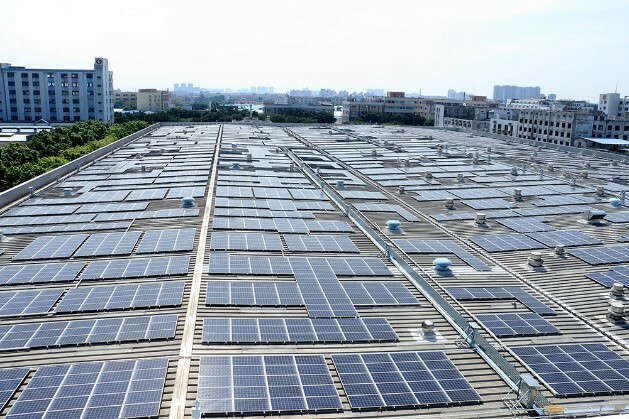 Asia Clean Capital Ltd. (“ACC”) is a leading clean energy solutions developer that serves large multinational and domestic firms throughout China. Focused on rooftop solar projects, ACC invests 100 percent of the project costs and provides the design, engineering, equipment, government approvals, installation, and long-term maintenance of solar systems. All electricity produced is then provided to clients at agreed rates lower than when purchased from the local power grid. ACC’s project sites are typically large production facilities with electric demand from one to twenty megawatts, existing clients including Nestlé, Coca-Cola, Swire, Danone, Volkswagen, Unilever, Andritz, Fujitsu and others. The company has offices in Beijing, Shanghai, Tianjin and Hong Kong.